Preheat oven to 350 degrees. Grease cookie sheet. Set aside. 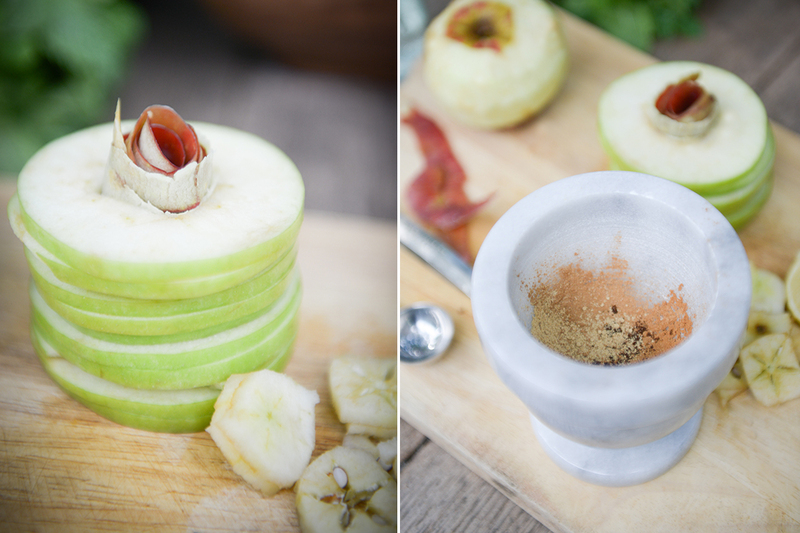 With a melon baller or pairing knife, cut out apple core leaving the apple intact. With a pairing knife or peeler, peel a long strip of apple skin from the very top of the apple and the very bottom, leaving the skin on in the middle. 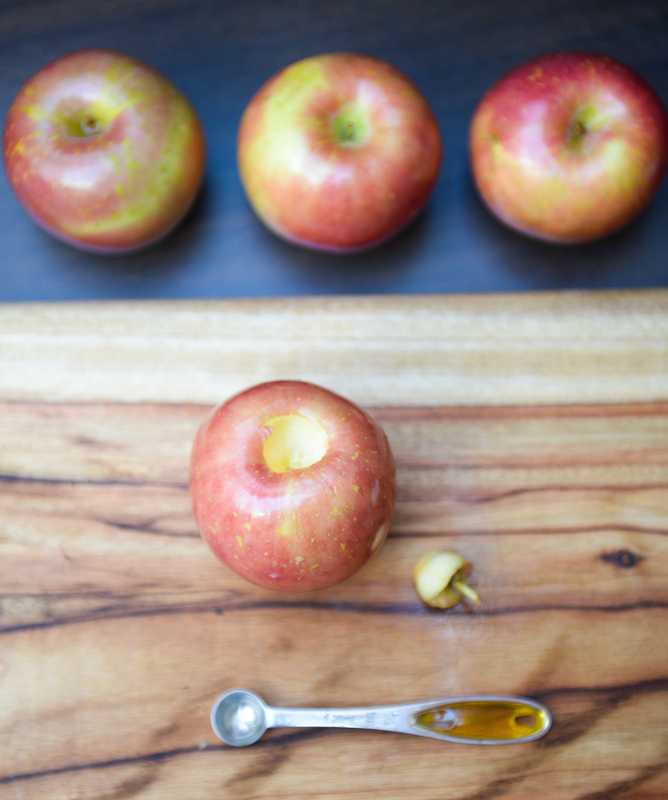 With a mandolin or knife, slice the apple into rings 1/8 inch thick. Squeeze lemon juice onto apple rings. Mix cinnamon, nutmeg and ground ginger together. Rub/lightly dust tops and bottoms of the apple rings. Stack the rings back into the apple shape on the cookie sheet. With the apple peel from the top and bottom, curl the skin, inside out, around your finger to create a rosette. 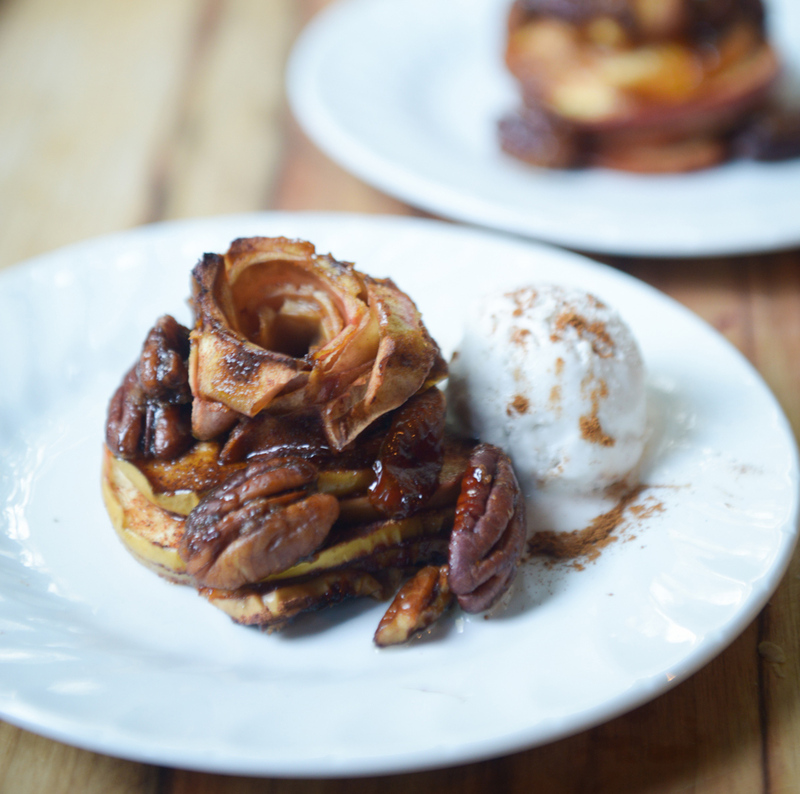 Place the rosette in the apple stack hole on the top. Drizzle a little bit of coconut oil on each castle. Bake in the oven for 25 minutes. In a pan, add the coconut oil and brown sugar, heat and stir until it reaches a syrup consistency. 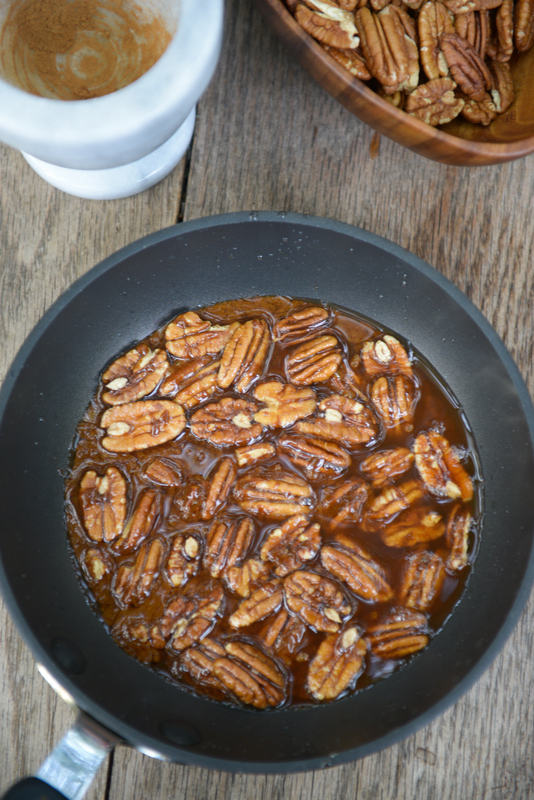 Add a pinch of cinnamon and the pecans. 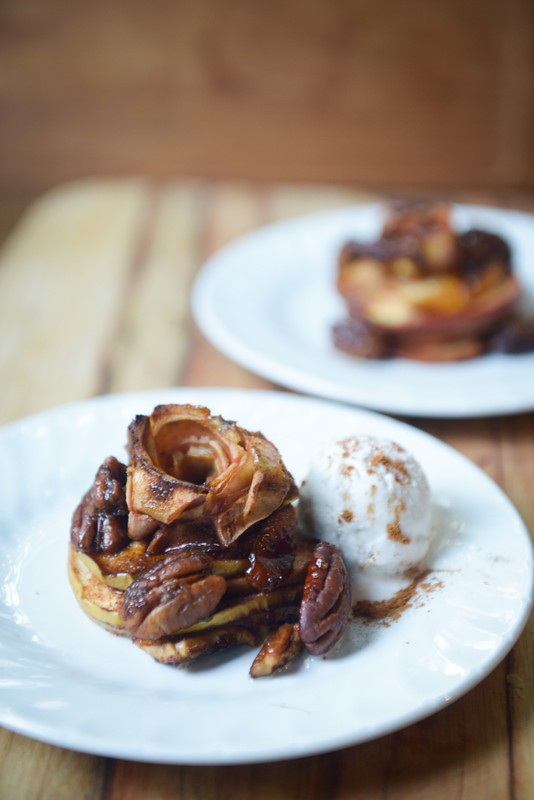 Take the apples out of the oven and drizzle the candied pecan mixture over each one. Bake an additional 5 minutes. Let cool. Add coconut vanilla ice-cream a-la-mode for the vegans. Bon Appétit!